My daddy finished reading us The Horse and His Boy by C. S. Lewis. 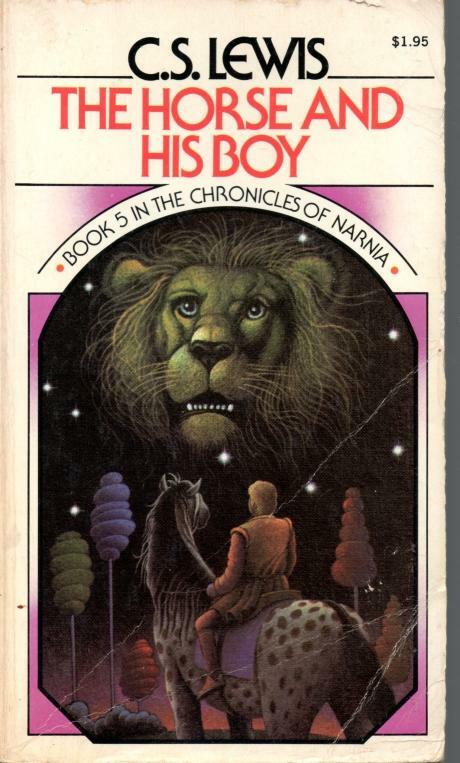 This is the third story in The Chronicles of Narnia. I didn't like it, but I'm still looking forward to the next one. My favorite part, which I reflect on frequently, is when Shasta, Aravis, Bree and Hwin are trying to get away from the Calormene soldiers and Bree insists that they cannot go any faster. Hwin suggests that they could if they had soldiers whipping them. Aslan later proves that Hwin is correct. They are capable of more than their minds will allow. And the author points out that while slaves are capable of being pushed farther, they lose all their discipline when/if they become free.